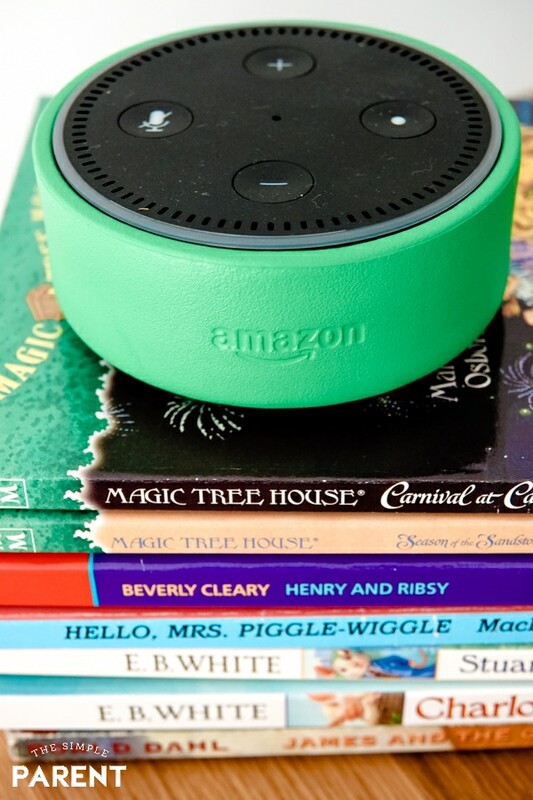 Encouraging Kids to Read with Amazon Echo Dot Kids Edition! March is National Reading Month. I’ve been an avid reader my entire life and I spent many years teaching kids to read in first grade so reading is one of my passions. I also taught elementary technology for many years, so seeing technology become an educational tool more and more these days is something I love as well. In our home, our Amazon Echo Dot Kids Edition is part of our reading routine. I love that Alexa can my kids have fun educational experiences while also encouraging that love for reading I hope they grow up with. 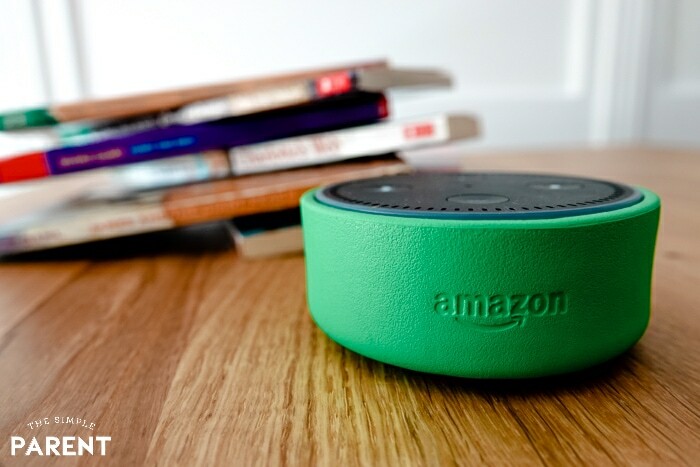 I’ve discovered six ways we use our Echo Dot Kids Edition in our home that are part of our reading routines. 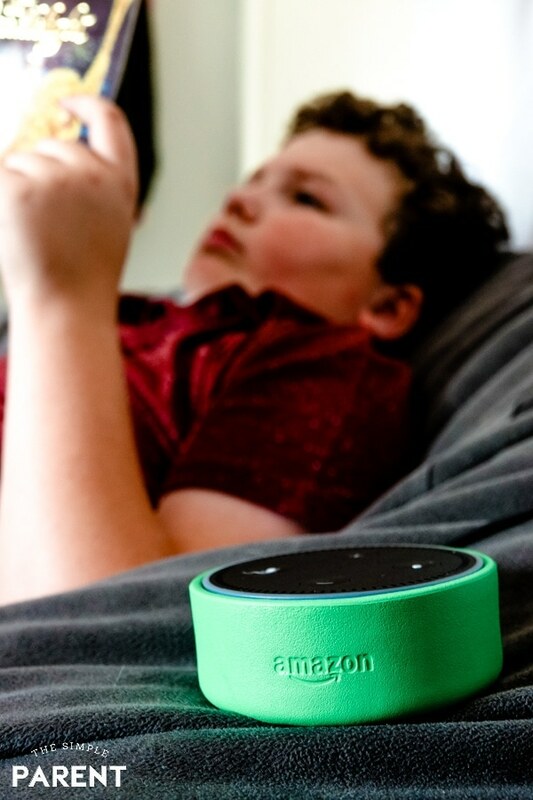 Earlier this year, I shared some of the ways we’re using our Amazon Echo Dot Kids Edition to help the kids build independence. 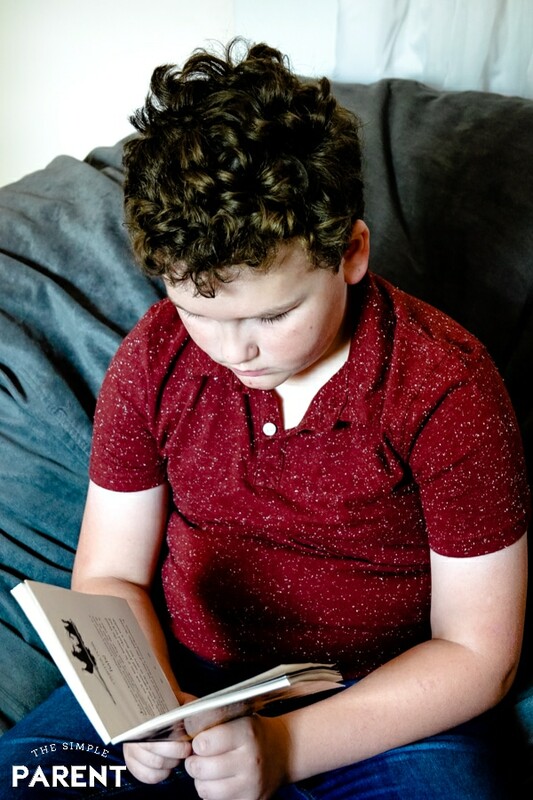 Some of the ways received our Echo Dot Kids Edition with Amazon FreeTime helps with reading in our home have also led to the kids doing more independent reading-related activities on their own. 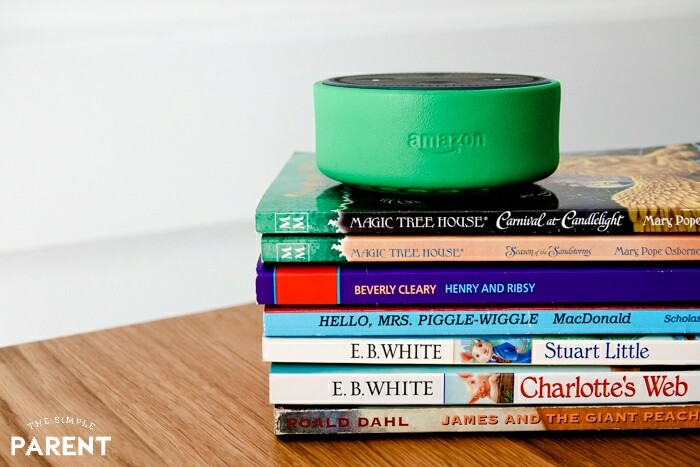 Here are some of the ways the Echo Dot is encouraging more reading in our home! I’ve always loved reading aloud with my kids. It’s a great way to raise young readers and I’ve been doing it since they were little. But I’ll be honest, sometimes I’m tired and done reading with them. When I’m ready to lay down and dive into my own book, Alexa is a great help! Did you know there are over 1,000 Audible Books available through FreeTime on Alexa? It’s true and when I’m done reading to them, they can easily dive into another story with Alexa! 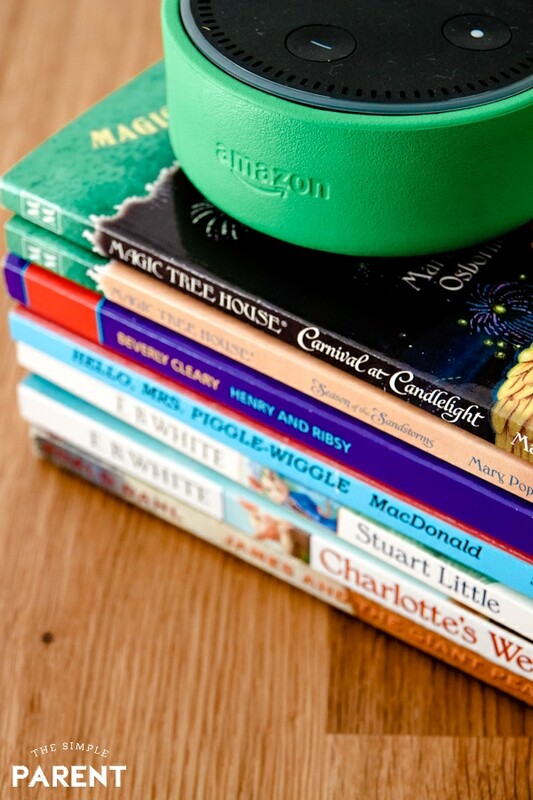 Audible on Alexa can also help kids who are auditory readers and help them build more excitement about reading. If they struggle with reading, having the option to listen to books is a great way to get them interested again! There’s just something fun about using Alexa to do things. I’ll admit that we all love it. It’s not just the kids. I enjoy listening to Audible Books with the kids. It’s a great way to relax while spending time together. There are some other fun ways to engage in reading activities together. We love The Magic Door and Highlights Magazine. The Magic Door is an interactive adventure game you can play with Alexa. It’s full of original stories and set up like a choose your own adventure type of book. There are different lands to explore in the stories, items to collect, magical creatures to help, and riddles that the family can work together to solve. It’s a great way to spend time together and encourages the kids to do more than listen to a great story. They get to be involved and work on problem-solving and comprehension. The Highlights Magazine Amazon Alexa Skill offers the best of Highlights Magazine. I grew up reading Highlights Magazine so discovering this skill was like going back in time. I love that the kids can listen to stories about a variety of topics like animals, sports, friendship, and more. There are poems, jokes, and brainteasers. My kids love the BrainPlay questions! 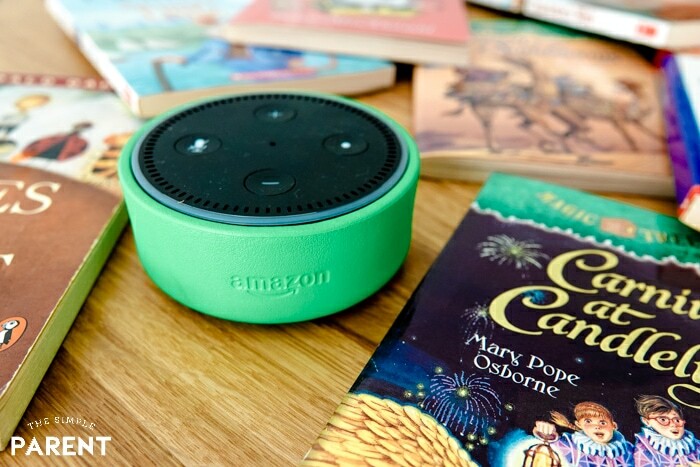 If you’re looking for ways to get your kids involved in reading and in activities that promote their reading skills, Alexa has a ton of great options! Do your kids always ask you about new words they find in their books? It’s one thing Weston does a lot when he comes across a word he doesn’t fully understand. I’ll hear him calling me from his bedroom (where he’s snuggled in pillows and doesn’t want to get up), to tell him what a word means. With our Amazon Echo Dot Kids Edition, Alexa will define words and even find synonyms! I’ve heard him asking Alexa for definitions more than a few times. Later he’ll share with us the new word he figured out and I love seeing that proud smile on his face! One thing I only learned recently is that Alexa can answer educational questions which makes it a great way to do research! Sometimes Weston discovers something he’d like to learn more about, but his reading level isn’t always quite at the level of some of the articles he can find when researching. Alexa is always willing to read them to him! I wish doing research had been that fun when I was a kid! Amazon Storytime offers a selection of short stories for kids ages 5-12 that are perfect for kids who like a bedtime story (or three or four or…) The stories are pulled Amazon’s Rapids collection and a selection of Audible short stories. It makes them perfect for a short bedtime story that can help you ease your way out of the bedroom too! Vocabulary is a huge part of reading and writing. I know it’s not always something every kid likes to learn as a structured educational activity. Alexa makes it fun by helping kids learn a new term every day with the Word of the Day skill! The Kids Word of the Day Flash Briefing skill is one of the best ways to learn a new word each day! There’s a riddle each day to get kids thinking about the word and then they get the word and the definition. If you’re looking for a quick and easy way to work on building vocabulary each day, let your Echo Dot Kids Edition help out! 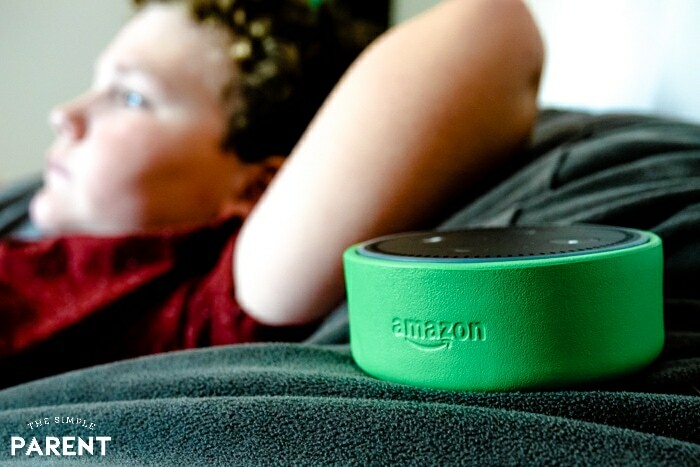 If you don’t have your own Echo Dot Kids Edition yet, it’s a great addition to the family! I love that Amazon FreeTime gives us access to over 1,000 books on Audible that are great for the kids. There are also a huge variety of games to play that encourage learning in all subjects, especially reading. Most importantly, with the Parent Dashboard, I have control to what the kids can access and when they can interact with Alexa. I can see what books, videos, apps, and games my kids enjoy. With the Amazon Parent Dashboard, I can also access Discussion Cards that help me have conversations with the kids about what they’re reading and learning! From now through April 3rd, you have the chance to win your own Echo Dot! Use the widget below to enter for your chance to win one (1) of 10 Echo Dots! Influence Central will randomly select winners from all program entries and Amazon will facilitate fulfillment of the winning prizes of 10 Winners.